I first discovered NC author Megan Shepherd this past January, as part of a SCBWI Carolinas online workshop series called Polish Your Manuscript in Your PJs. I’m always excited to learn from other authors, and Megan’s presentation, “What is High Concept? Give Your Book a Hook,” was fantastic. I was intrigued by some of her ideas—and even more intrigued by her description of her novel, The Cage, about humans on display for aliens in a zoo-like setting. I was so intrigued, in fact, that I went out and bought the book—and when the sequel, The Hunt, came out several months later, I bought that one too . . . in hardcover. Then I borrowed her first series, The Madman’s Daughter, from the library, and devoured it. Megan’s ideas are original, her voice is fresh, her characters are compelling, and her twisty-turny plots just won’t quit. As an added bonus, each of the three books in The Madman’s Daughter series was inspired by a different classic: H.G. Wells’ The Island of Dr. Moreau, Robert Louis Stevenson’s The Strange Case of Dr. Jekyll and Mr. Hyde, and Mary Shelley’s Frankenstein. 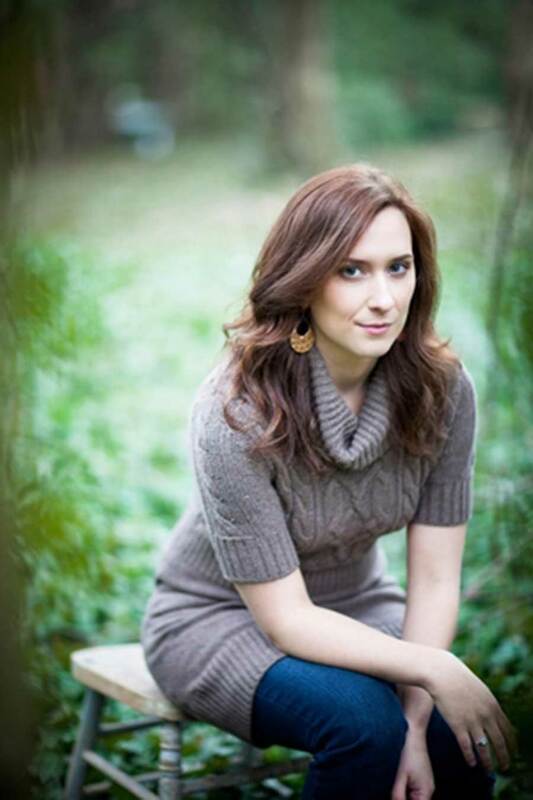 Megan was kind enough to chat with me about monsters, human zoos, and The Secret Horses of Briar Hill, her upcoming middle-grade release that took her totally by surprise. Read on to hear what she had to say. Q: I’ve recently finished reading The Cage and The Hunt, and was fascinated by the idea of a society that puts humans on display, studying our habits and behaviors as if we were zoo inhabitants. Can you talk a bit about your inspiration for this series? A: I came up with the idea on a writing retreat. Another author was talking about her husband’s job as a bear researcher, and all the fascinating things that happen in zoos, and it sort of clicked. Q: Tell me about the Dangerous Ladies 2.0 Tour. What’s it all about, and how did it come to be? What other authors are participating, and how can folks find out more? *Note: The tour finished up this past weekend at Flyleaf Books in Chapel Hill. I had a chance to attend–and it was awesome. A: The Southeast is so fortunate to have amazing YA authors and every once in a while we like to crawl out of our individual writing caves and actually interact with society! 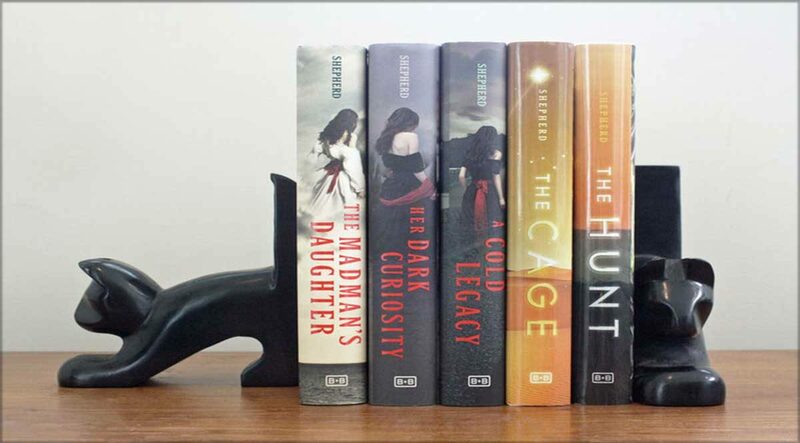 The other authors are Gwenda Bond, Beth Revis, Renee Ahdieh, and Megan Miranda. Our full schedule is here. Q: The Cage and The Madman’s Daughter are very different series—yet there are certain similarities between them. What common themes do you think inform your work? Are there subjects, ideas or emotions that you are drawn to again and again? A: I’ve always been interested in writing about human nature, and a zoo-like setting with alien “watchers” in The Cage was the perfect venue to do this. The Madman’s Daughter series had this too, by forcing us to look at humans in relation to the animal characters in the story, and ask ourselves which ones were the real monsters. Q: Can you talk a little bit about your work with the Peace Corps in Senegal, and the picture book you created while you were there? How did that affect your desire to become a writer? A: I was stationed in a small, remote village, working in liaison with the local elementary school. Their library was meager, and some teachers approached me and asked if I would help put together a volume of village folk tales. Because the village spoke Serere, an oral language, the stories had never been written down. I coordinated the collection and transcription of stories, found a local artist to illustrate it, and distributed it to nearby schools. Before this, I had no idea how books really came together, and I fell in love with the process! Q: Did you always know that you wanted to write books for children and young adults, or did the discovery surprise you? A: My interest in writing grew out of working with the elementary-aged students in Senegal, and so I think it was natural that I wanted to write for children. The first few (failed) manuscripts I wrote were for younger children, but each manuscript got “older”, until my protagonists were teens. Something about that voice stuck. 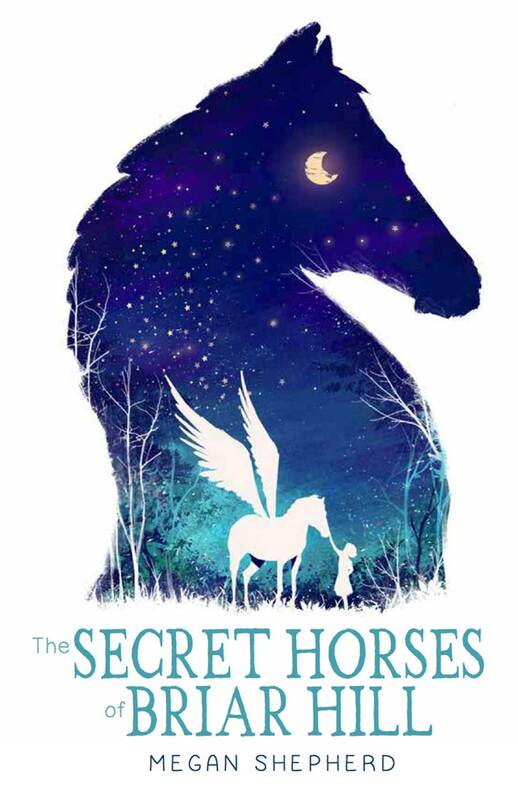 Q: Your first middle-grade novel, The Secret Horses of Briar Hill, is coming out in October—how exciting! What made you decide to expand beyond the world of YA? Was it a conscious choice, or were you inspired to write Briar Hill and then realized you had an MG title on your hands? A: It all came as quite a surprise, to be honest. I started writing The Secret Horses of Briar Hill purely as a writing exercise to focus on voice; I loved the story and worked on it passionately but I didn’t have plans to seek publication. In fact, for a while I thought it was an adult book with a child protagonist, not a children’s book. But when I finished, I sent it to my agent and some critique partners, who encouraged me to pursue publication. Q: On that note, can you share a little about Briar Hill—what can readers expect from the story? A: I call it a “family read.” A book that eight-year-olds can read with their parents or grandparents, and each age group will take something different out of the story, hopefully leading to some great discussions. There is magic and hope in the story, but it is set against the backdrop of war and illness. Q: You live on a 125-acre farm in the mountains of North Carolina, right? How does your sense of place inform your writing—or does it? A: It absolutely does. Especially writing so much historical fiction, I love being away from the “modern world”. I can wander around our little pond or orchard and talk aloud to myself and no one thinks I’m crazy!